The Township of Lanark Highlands (Lower Tier Lanark)Record Owner? Log in. Lanark Highlands is home to several dozen lakes, such as Clayton, Taylor, White, Dalhousie, Patterson, Flower Round and Clyde. 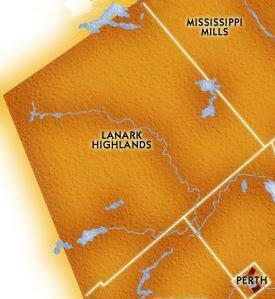 Have something to say about The Township of Lanark Highlands (Lower Tier Lanark)?